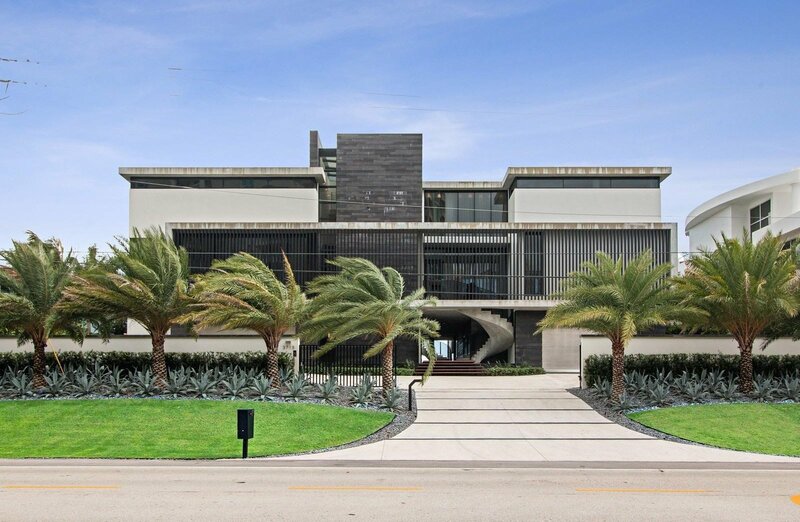 Rising above the ocean, this over 14,000 total square foot masterpiece, 120 feet on the ocean and completed in 2018, is sited on approximately .65 of a beachfront acre in Highland Beach, FL. The residence consists of 7 bedrooms/7 full & 2 half baths on 3 levels of architectural design + a large rooftop sun deck. The ground floor, which is built 17 feet above the sea, has air conditioned parking for up to 8 vehicles, 4 ensuite bedrooms, a game room & powder bath. The 2nd level has 2 full kitchens, family room, living room & full bar area. All of these main rooms have unobstructed ocean views. The luxurious oceanfront master suite on the 3rd level has a separate area for relaxing, indoor/outdoor private shower & hot tub, and a private office with 180 degree view of the Atlantic Ocean On rare occasions and in very few areas around the world, an oceanfront residence comes to market that defines modern design and sophisticated splendor. 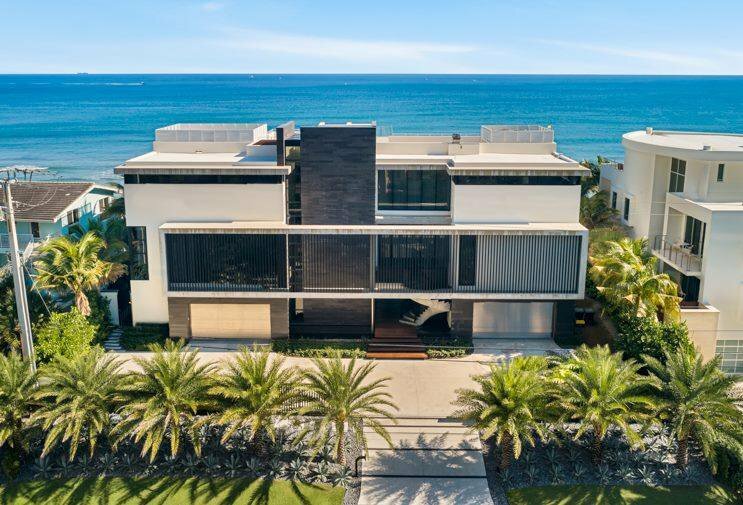 Rising above the ocean, this over 14,000 total square foot masterpiece, completed in 2018, is sited on approximately .65 of a beachfront acre in Highland Beach, Florida. The residence consists of 7 bedrooms, 7 full and 2 half baths on three levels of architectural design plus a large rooftop sun deck. 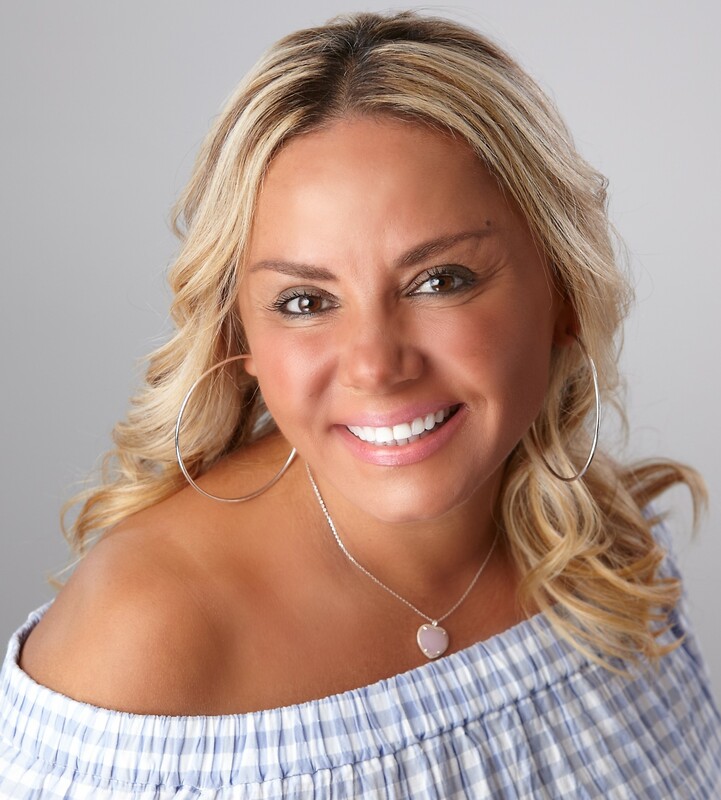 The ground floor, which is built 17' feet above the sea, has air conditioned parking for up to 8 automobiles, 4 ensuite bedrooms (including one bed and bath for staff and VIP suite), a game room, and powder room. The second level has two full kitchens, a huge family room, living room, media room and full bar area. All of these main rooms have unobstructed ocean views. A "Living Wall" and linear spark gas fireplace with floating marble canopy add a peaceful and organic feeling to these entertaining areas. A large formal dining room suitable for up to 16 has a temperature controlled glass showcase wine cellar with 1,184 bottle capacity that serves to separate the dining and family room. The 10 seat media room luxuriously furnished by Cinematec with Sony laser projector and JBL Synthesis Dolby Atmos sound system is located on this floor as well. A sun splashed, infinity edge pool and spa and large covered terrace with exterior kitchen located just off of the family room offer a beautiful vantage to cool off from a warm day and gaze at the sand and ocean below. Upstairs on the 3rd floor, the luxurious 2400 square foot oceanfront master suite includes a separate area for relaxing, an indoor/outdoor private shower and hot tub, and a private office with 180 degree view of the Atlantic Ocean and private balcony. The master bath is a study in modern elegance with white marble slab walls and separate vanity areas and water closets for him and for her. There's an oversized slab marble shower with large rain head and huge master closet by Poliform. Two additional ensuite bedrooms, a large oceanfront gym and laundry are also on this level. The roof features a huge 3000 square foot finished deck area. No detail has been overlooked in the construction of this home. The highest quality construction and the finest finishes abound within. A commercial quality post-tension structure with all solid poured concrete walls and over 100 commercial auger cast pilings, the residence was built over a course of 4 years. There is imported lava stone and fine oak millwork on the walls throughout the residence. The main flooring consists of imported, Italian basalt lava stone slab floors and 12' wide plank natural oak floor in the master. The home boasts a state-of-the-art, Control 4 full home automation system controlling security, lighting, HVA, audio, window treatments and more. There is a commercial quality elevator that stops at the ground, second and third levels. A more comprehensive list of features and details is available upon request.